Konstantin Stanislavsky (1863-1938) was the son of a wealthy Russian merchant. Bitten by the theatrical bug early in life, he became an actor and director. In 1898, together with Vladimir Nemirovich-Danchenko, he created the Moscow Art Theater (MAT). The theater, with its emphasis on realistic presentation and its careful attention to every detail of the production, was successful from the time of its debut (Alexei Tolstoys Tsar Feodor Ioannovich). The debut season also featured Anton Chekhovs The Seagull. In the years that followed, the MAT under Stanislavkys often autocratic direction, created a series of legendary productions during the first decade of its existence including Chekhovs Uncle Vanya, The Three Sisters, and The Cherry Orchard, Maxim Gorkys Lower Depths, Leonid Andreevs Life of a Man. After the Russian Revolution, Stanislavsky remained in the Soviet Union and continued to run the Art Theater. Between 1922 and 1924 the troupe engaged in a triumphant series of guest performances in Europe and the United States. After his return from this tour, Stanislavsky added a number of major Soviet plays to the Art Theater.s repertoire, including Mikhail Bulgakovs Days of the Turbins, Valentin Kataevs Squaring the Circle, and Vladimir Kirshons Bread. 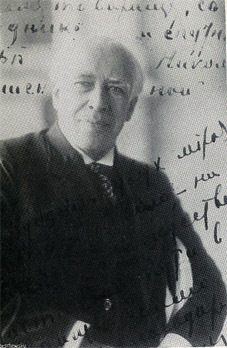 In addition to his work as actor, director, and entrepreneur, Stanislavsky was also an inspiring teacher,whose Soviet disciples included Vsevolod Meyerhold and Evgeny Vakhtangov. The influence of his "Method" was and remains extensive in the United States as well, especially through the influence of Lee Strasberg.